UNEP defines it as "the continuous application of an integrated preventive environmental strategy to processes, products and services to increase overall efficiency, and reduce risks to humans and the environment." It is a broad term that encompasses notions such as eco-efficiency or green productivity and refers to industrial processes for the production of goods and services with minimum environmental impact (e.g. reducing amount of waste, improving efficient use of resources, ...). The role of these technologies is not directly to respond to industrial accidents and their consequences, but by leading to reduce risks to the environment, health and safety, it contributes to their prevention. The energy life cycle includes production, distribution and consumption. Energy production covers the extraction and use of fossil fuels, including oil, coal and gas. Energy distribution requires a network of power and fuel transmission lines crossing the landscape to deliver electricity and fuel, and trasport by boat, road or train is still used. Energy consumption measures the use of energy, and is a source of emissions of waste and pollutants. The renewable energy sources are the sources that are replenished naturally (wind, biomass, hydro, solar, geothermal, ...) since they are non-depletable resources, whereas fossil fuels (oil, gas and coal) ae non-renewable energies. Many other renewable sources of energy production do exist and are used in some places, but the scale of their implementation and thus their possibility to replace conventional sources, is very small. It is a large global industry including operations for the extraction of valuable minerals or other geological materials from the earth. Mineral exploitation may cause severe environmental degradation such as energy and water soncumption; air, water and land pollution; landscape alteration; soil erosion; destruction of riverbanks; health and safety hazards. Technologies and practices are evolving, making mining more efficient while improving safety and sustainability. However, there is no single solution, as conditions differ from one quarry to another. They are facilities and related operations providing basic services to individuals and businesses (transport, communication, water and energy supply, waste removal). When referring to transport infrastructure, it encompasses the system of roads, rail, waterways, airfields, ports and all the relevant elements of the environment in which a transport system operates. There is no internationally agreed definition for this, but it generally may be all forms of transport which contribute to economic and social welfare without jeopardising the environment or harming human health. A sustainable transport policy or plan would not be effective if it is not aimed at regulating and systematically assessing the environmental aspects of a transport system through all stages of its life cycle. It aims to provide harmonised transport and land-use plans and to influence transport demand (because transport policies are largely influenced by the demand of the society for mobility and access). Commercial traffic also need specific measures to switch to more environmentally friendly means. It is one attuned to what is best for the environment and for human beings, assessed throughout the whole life cycle: manufacture, use and final disposal of vehicles as well as to the development of necessary infrastructure, taking into account energy consumption and the amount of waste generated. Some transport modes are less environmentally damaging than others: non-motorised transport (bicycle, which increases mobility without polluting); public transport (rail, etc. ); intermodal transport or "modal shift" (focusing on connectivity between modes to facilitate a linked trip, it is intended at least to reduce dependence on the automobile as the major mode of ground transport and increase the use of public transport). Mountains are a key source of energy, providing biomass fuels (wood, agricultural residue) as well as non-renewable fossil fuels. In general, power production in the Carpathian region relies mainly on fossil fuels, followed by nuclear, hydro and renewable energy sources. Some Carpathian countries hold important fossil fuel reserves, although total proven oil and natural gas reserves are limited. 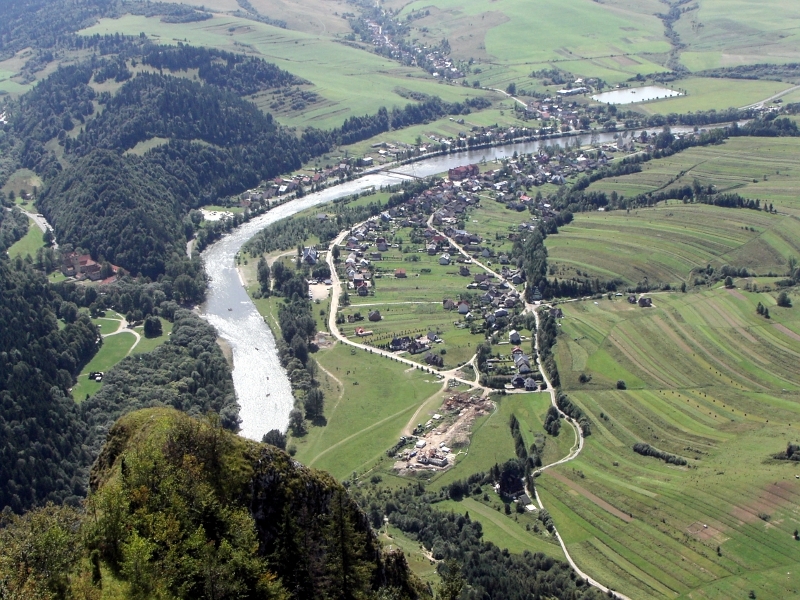 The Carpathians are also rich in minerals and metals and, therefore, suitable locations for extractive industry. After the political changes in 1990, industrial production in the Carpathian region dropped dramatically. Today, mining and metallurgical industries do have an important share in the regional economy, as do chemical, petrochemical, cement, engineering, pulp and paper, food, textile and furniture industries. Recognising the particular vulnerabilities of mountain areas and targeting the protection of the environment and human health, article 10 of the Carpathian Convention is devoted to Industry and Energy. It requires the parties to take measures and introduce activities to promote cleaner production, to provide adequate response to industrial accidents and mitigation systems, to promote environmentally sound methods of energy production, distribution and use, to facilitate the use of renewable sources, to implement energy-saving measures and to reduce the environmental impacts of mining. Industry and energy are closely related to transport and infrastructure, which plays an essential role in economic and social development. The Carpathians region’s transport has been affected by the changes of the political and economic system. There are substantial differences among Carpathian countries in respect to infrastructure and transport performance. Nevertheless, all have to make serious efforts to comply with the European standards. The Carpathian mountain chain still represents a traffic barrier particularly for the railways, highways, and international traffic corridors which affects the accessibility of the Carpathian region. Article 8 of the Convention contains a general obligation for the parties to pursue policies for sustainable transport and infrastructure and to cooperate to achieve this goal. Alpstar - Toward Carbon neutral Alps-Make best practice minimum standard!